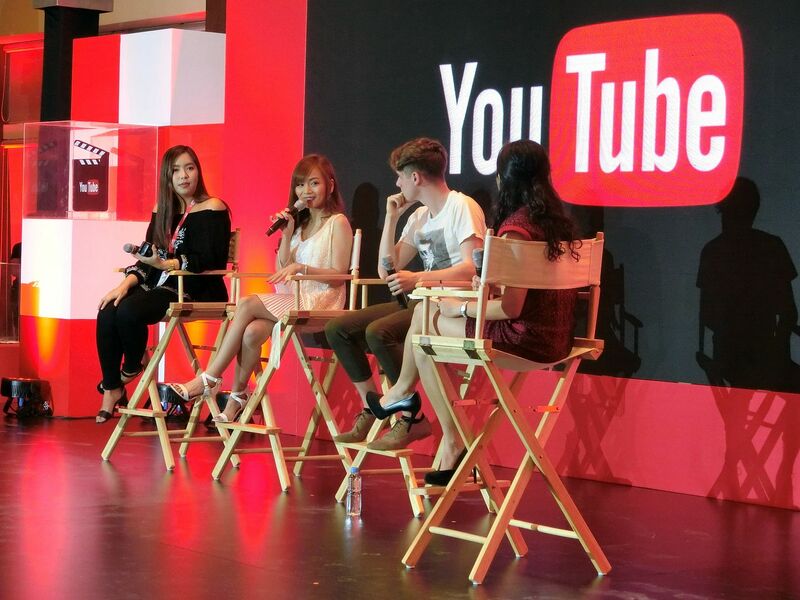 YouTube Fan Fest is the biggest gathering of YouTube content creators, both local and international. 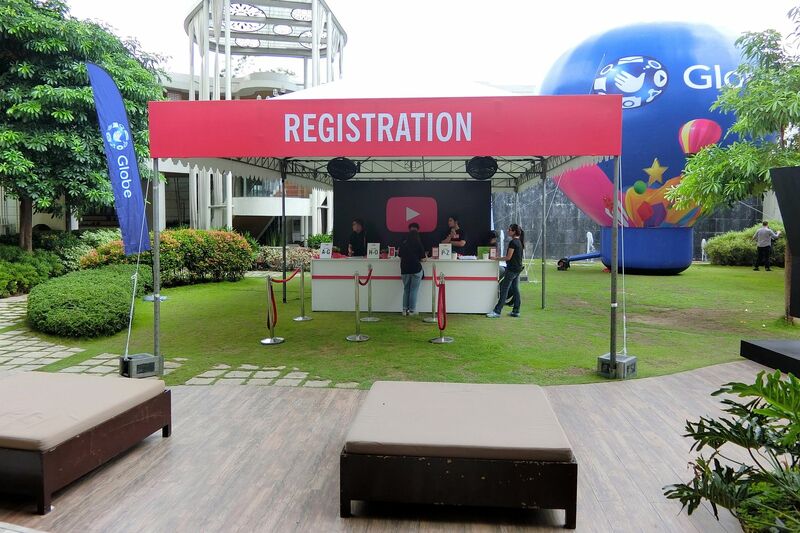 Every YouTube Creator's dream is to make it on the stage of YTFF! Not only to share the same stage with top international creators, but also to be able to see the cheer of the fans and to experience the goosebumps feeling after! 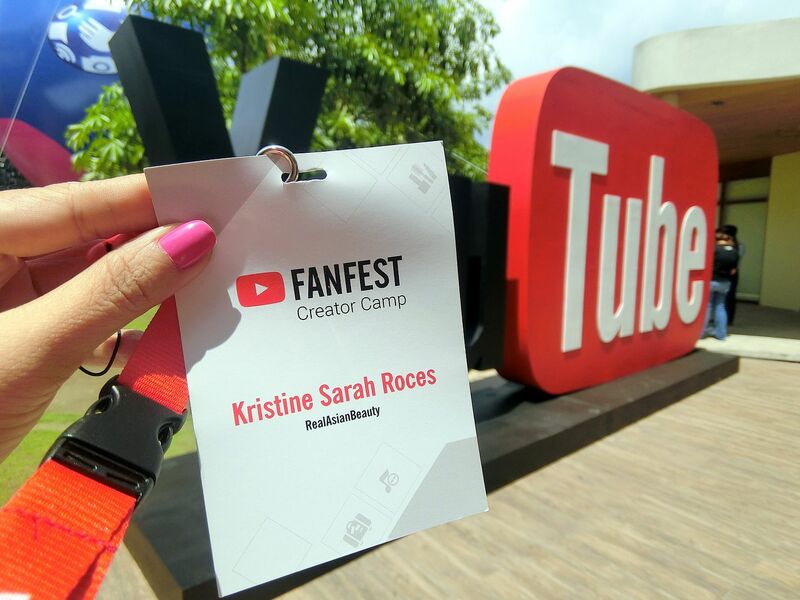 I was one of the lucky Filipino Creators that made it to the first-ever YouTube Fan Fest in Manila last 2015. Until now, I consider that as one of the greatest achievements of my YouTube career. 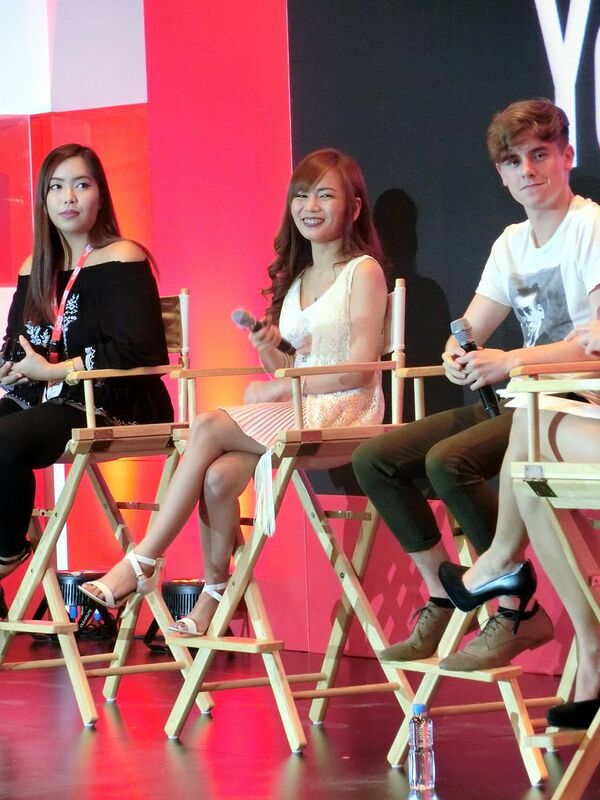 Click HERE to see my YTFF 2015 experience. This year, though, I was not part of the main show anymore. 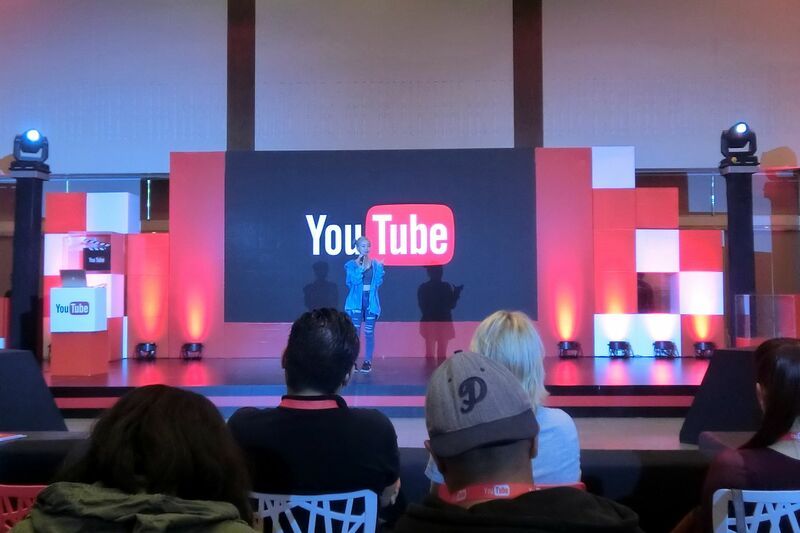 BUT, I was privileged enough to make it to the YouTube Creator Camp. 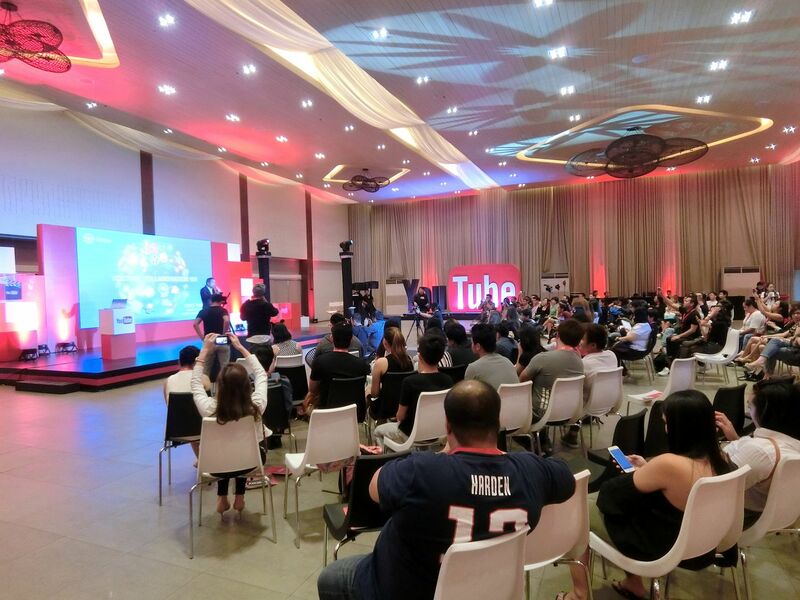 It was held at the Blue Leaf Filipinas in Manila last May 25, 2016. Whenever I go to events, I try my best not to compare the present event from the previous event as I know, things can never be the same. 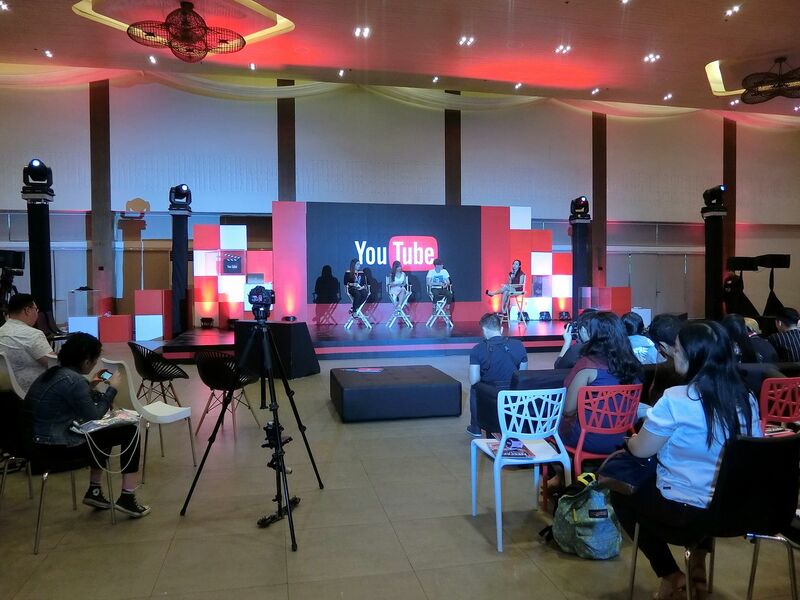 Though, I want to note that I liked the venue of the YouTube Creator Camp this year as it was more spacious. 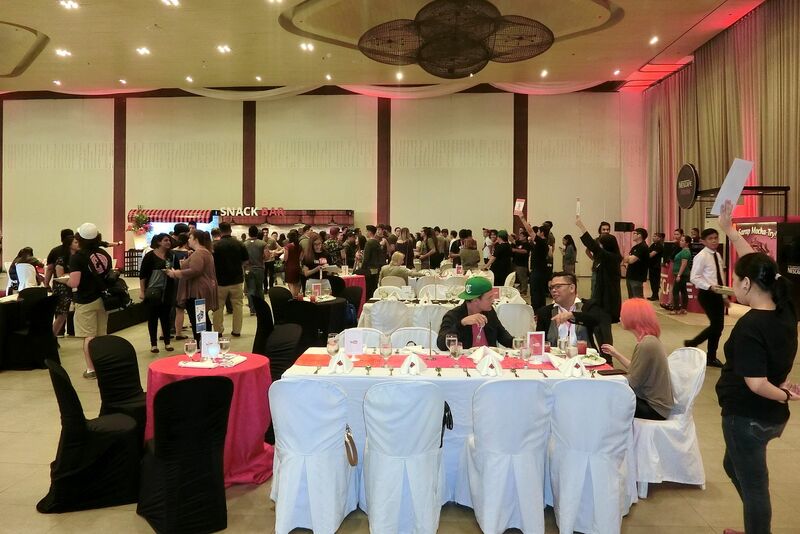 The attendees were able to move around more freely. I also usually do not expose my whole name on the internet. But because it's YouTube, okay, I'm doing it! Like what I often tell my friends, I love my job! I love my job because my boss is awesome! Where can you find a boss that lets you work at home, when you want and where you want, no fixed schedules, won't let you come to work when you're sick, let's you be as creative as you want, a job that lets you go on vacation whenever you feel like going and most of all, a job that does not require you to wake up early every morning! Yup, my boss is YouTube and He (or She) is awesome! So, after registration, I was treated like a VIP, somehow. My event-buddy and I were assisted to the holding area. 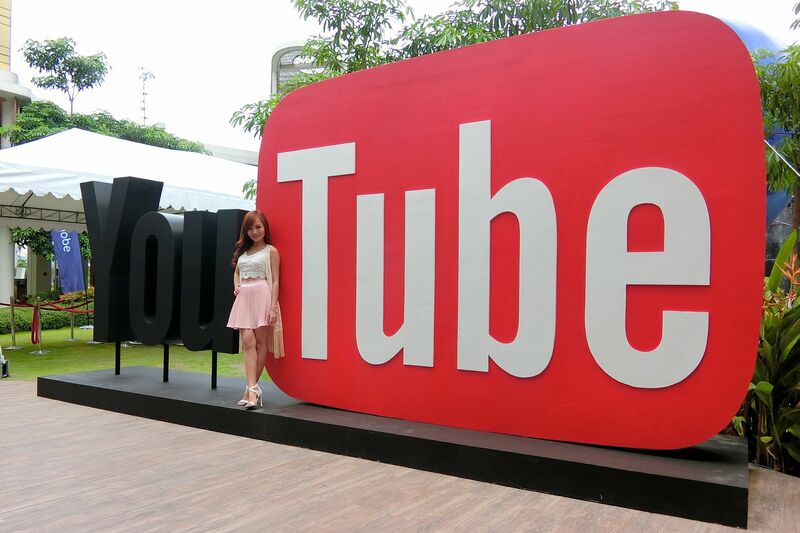 When we got there, some international YouTubers like Alex Wassabi and Wengie were there. 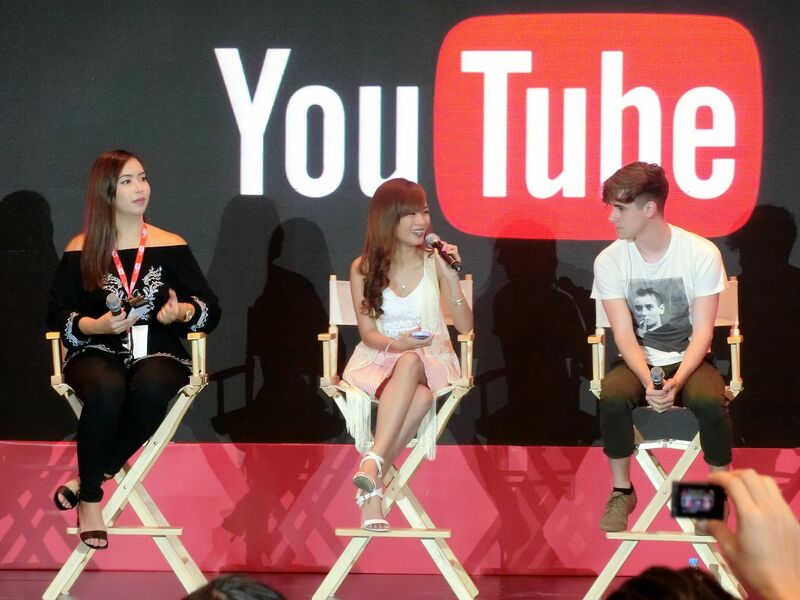 When I looked at Wengie, the seat to her right was still unoccupied so I immediately sat beside her. Oops, I hope I did not look creepy to her. And, OMG! Do you like Wengie? I have to be honest that although I know her name and her face, I have never watched a single Wengie video. But, O to the M to the G! 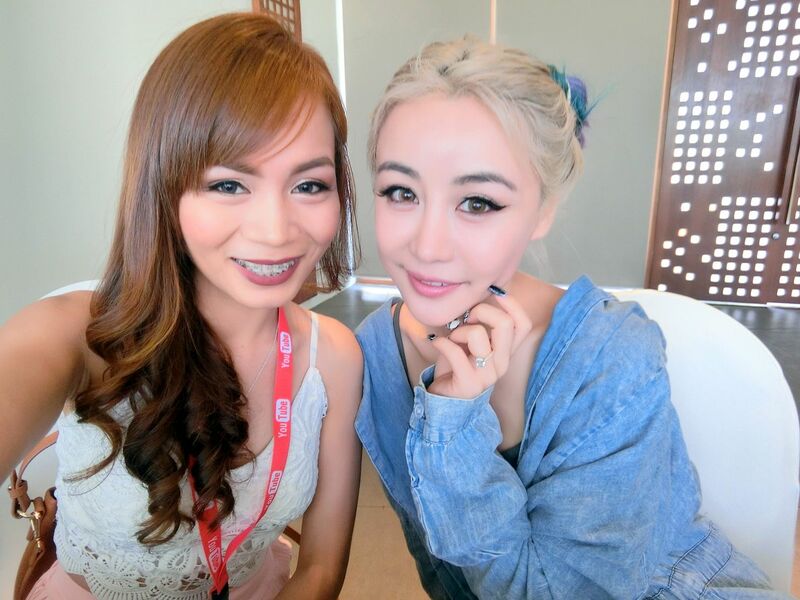 Wengie is the sweetest and the most down-to-earth YouTuber, ever! She was sitting there, sipping her coffee alone. She even went to the restroom alone like she doesn't know she has 1.2 Million subscribers on YouTube. 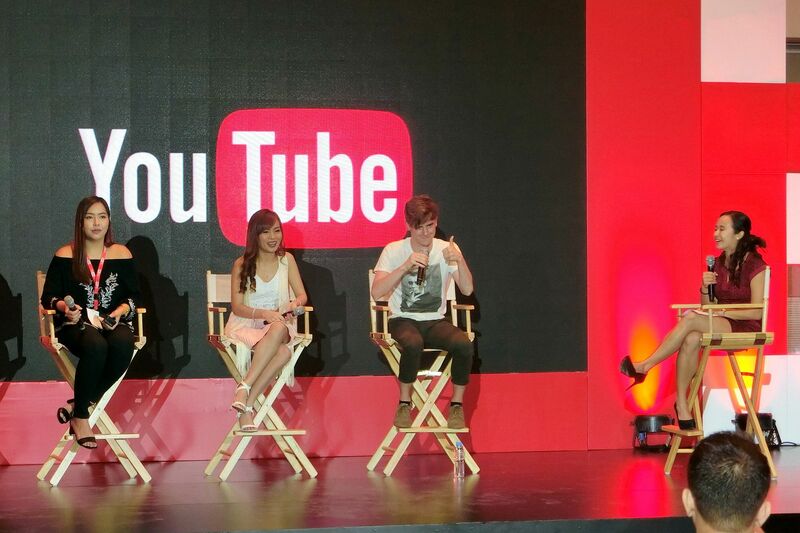 Instead of being with the famous ones, she chose to sit beside the aspiring YouTube creators when we had lunch. People like her is really my career peg. I'm not sure if you guys have noticed, but I always, always make it sure that I keep my feet on the ground no matter what achievement I get. I never think that I am above anyone else or more popular than somebody else. 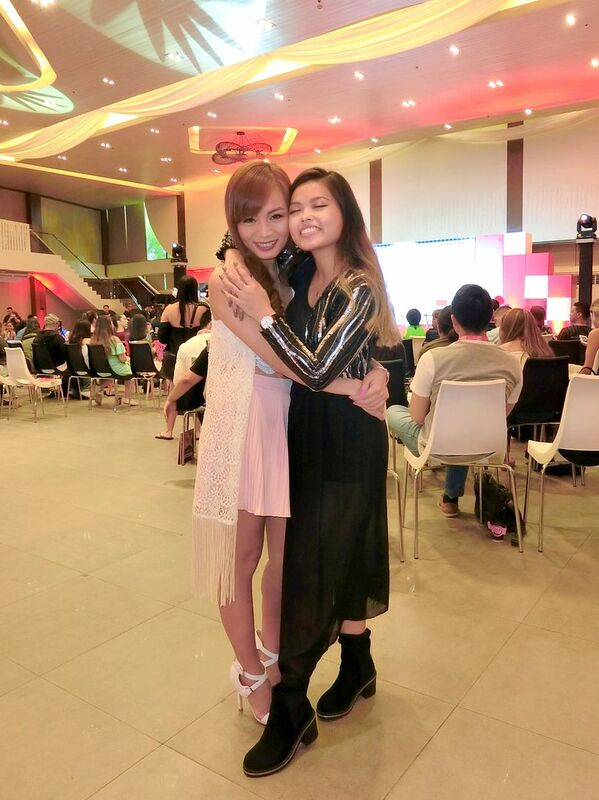 That exactly was how Wengie was when I met her. I was so inspired! 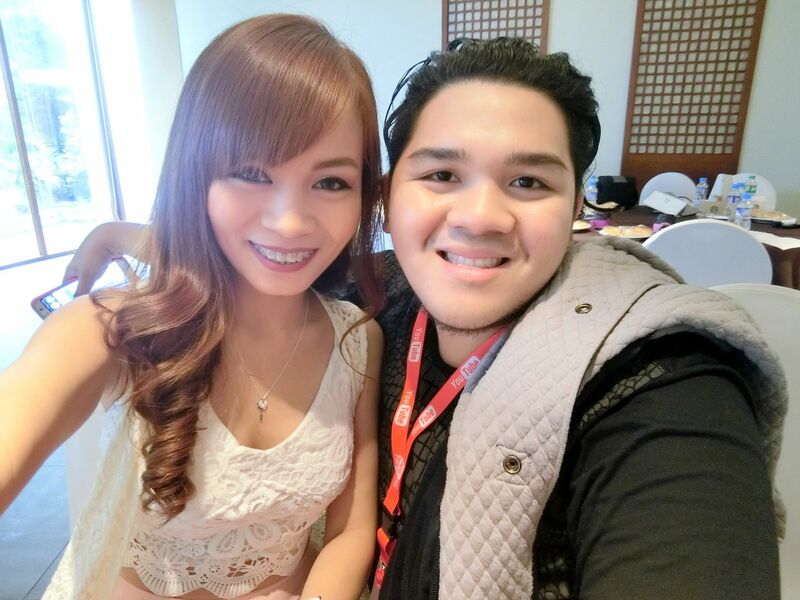 She got 1.2 Million subscribers in 3 years and she is even more humble than some people I met with only few thousand subscribers! I love Wengie! 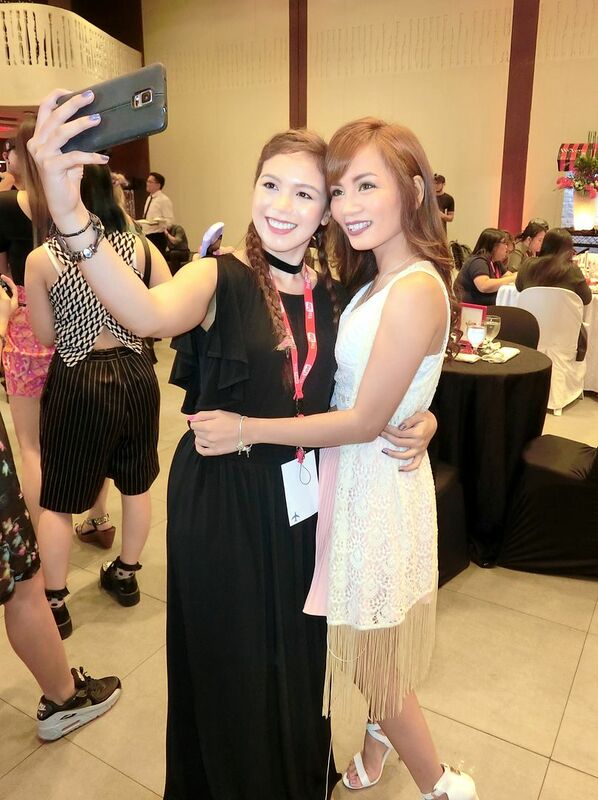 Oh, she also loved my Casio Exilim TR60 Selfie Camera that she even took a selfie using it! Haha She has super smooth skin but notice how my camera made her skin even more flawless! After breakfast, she went to the activity area to have her solo panel. Though she was wearing simple and comfy clothes, she still stood out because of her pretty hair and her milky-white skin! 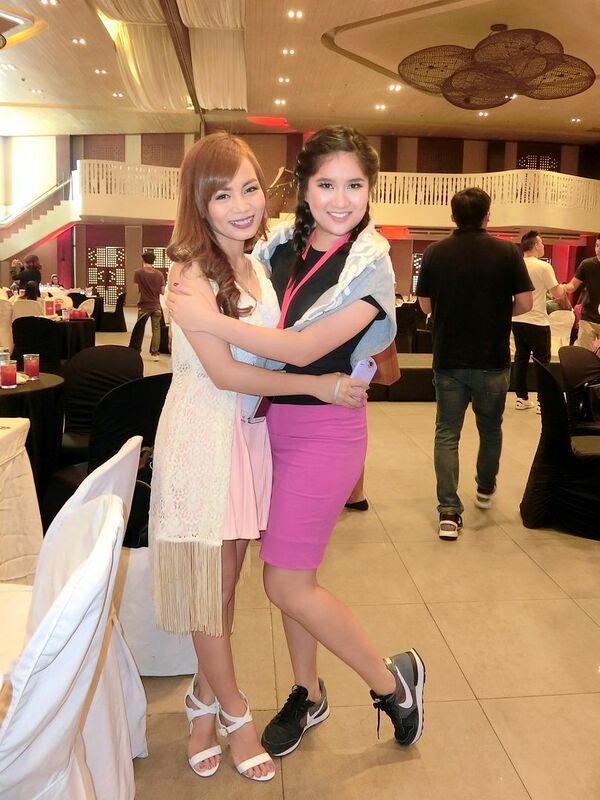 While she was wearing comfy clothes, there I was, wearing cropped top, pleat skirt and high-heels! The crowd was quite big. 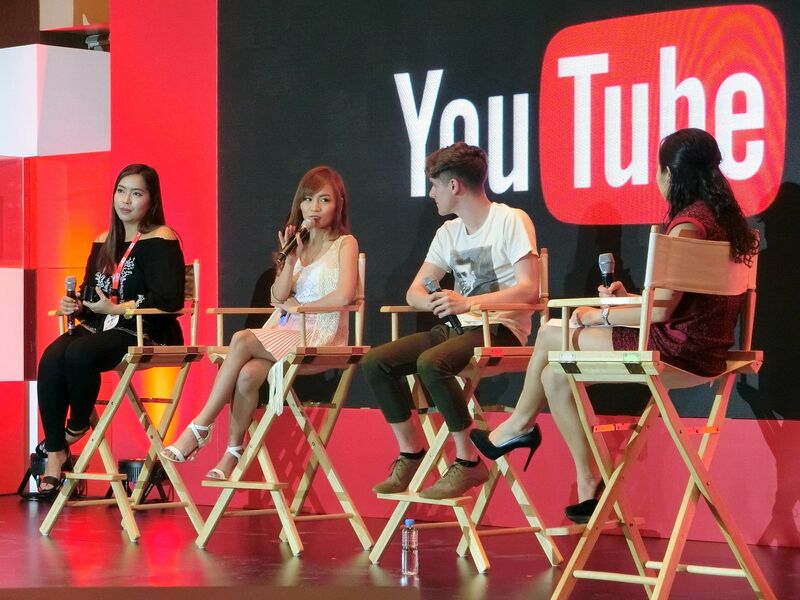 It also got a bit awkward for me to talk because when I looked to the right corner of the seats, almost all the beauty creators were there. I thought to myself, what else do I still need to teach these already creative beauty creators? Good thing, I looked to the left and saw newbies and aspiring YouTubers. I hope they were able to learn a thing or two from me! We only see the lights, mostly! Hehe It's so funny how some fan-fics would be like "And He saw me there, standing in the crowd... Our eyes locked and I knew right there and then that He fell in love." Like, okayyy... HOW?? Though, the audio was so bad during our Panel. The echo was so bad that we couldn't even hear our own voice. Good thing, the audience stuck with us and remained attentive! Yes, yes! 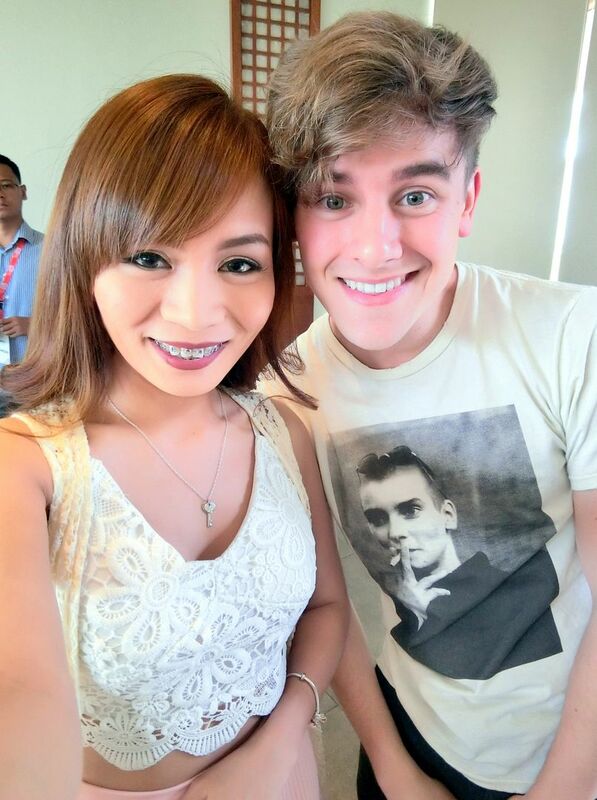 Even Connor is smiling and he is smiling at YOU! What steps did you take to begin building this community? How do you plan your programming around your fans and community? Any rituals or special lingo you have adopted for your community to identify themselves to your channel? Methods you've used to build value around your community and engage with your fans? 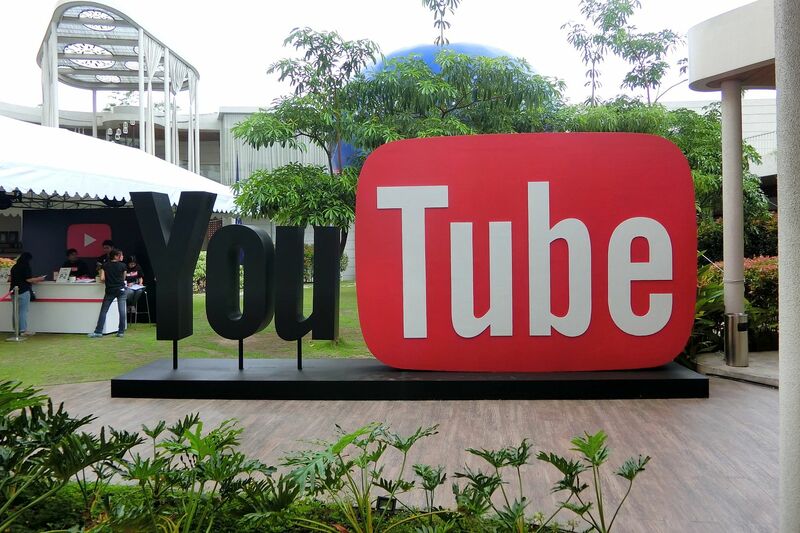 After that, we went back to the holding area where we chilled with your favorite YouTubers! 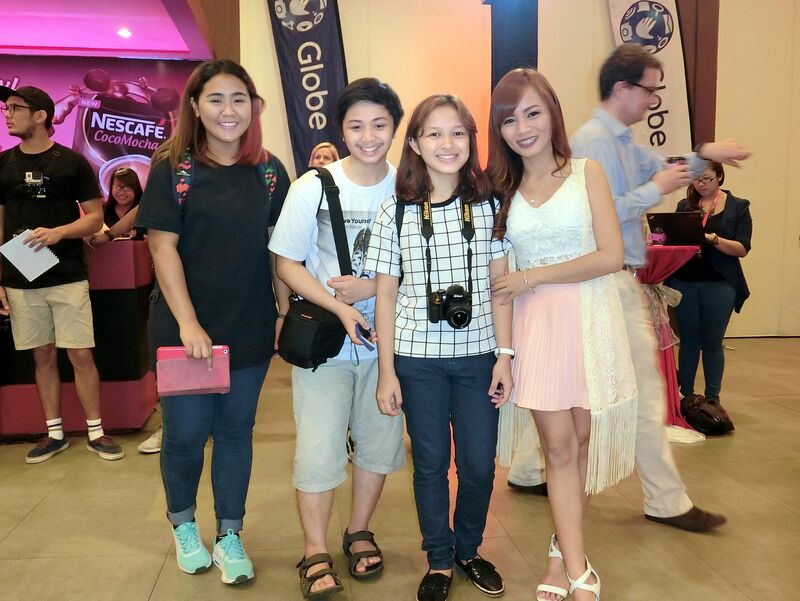 Also got the chance to film vlogs with them and take photos together! Here I am with Connor. He was also amazed with my Casio Exilim TR60 Selfie Camera. He said he has never seen it before and it's awesome! It was then time for lunch. Now this right here is something new that they did not do last year. 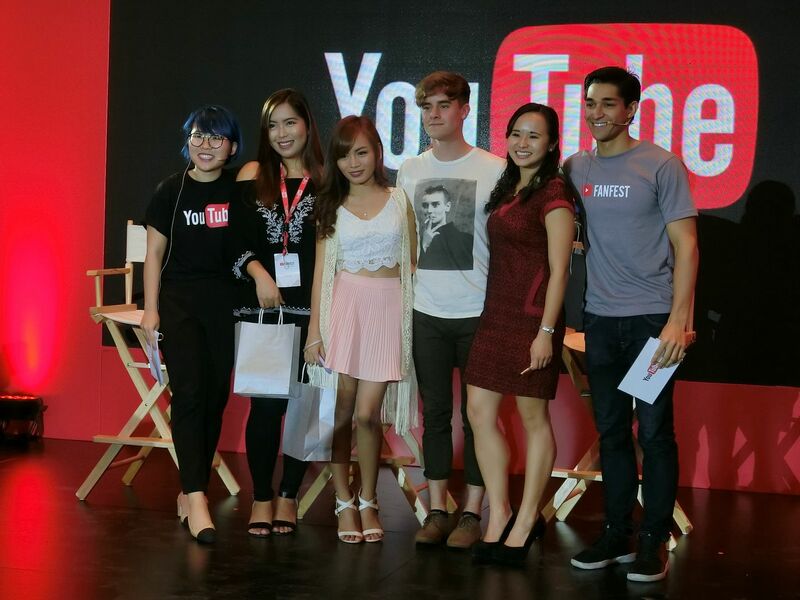 Aspiring YouTubers got to mingle with their favorite YouTubers over delicious lunch! 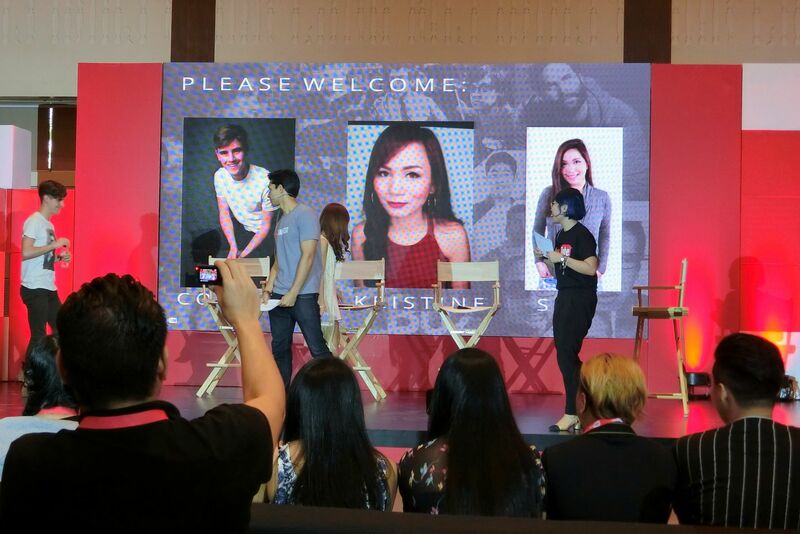 OMG, I could just imagine what I would have done if Ryan freakin' Higa was there! 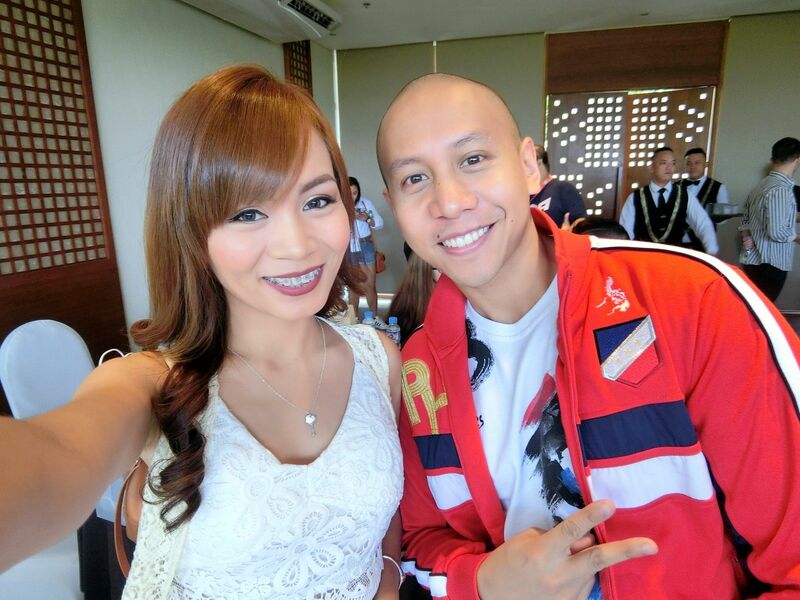 Maybe, everyone would have been blurred and my eyes would have been focused and glued on Ryan. Wait, do I sound like a creepy fan?? Haha I can't help it! I'm hanging out with all these famous YouTubers while the ONLY YouTuber that I ever want to meet is somewhere in Hawaii, filming or editing a video. I have been a lamp since his How To Be a Ninja and Big Bouncing Green Ball videos! After lunch, we went back to the activity area for few more sets of Panel Talk. My friend, Ana Victorino, had hers at around 1PM. Of course, I will never forget to take an OOTD picture. Do you guys like my outfit? 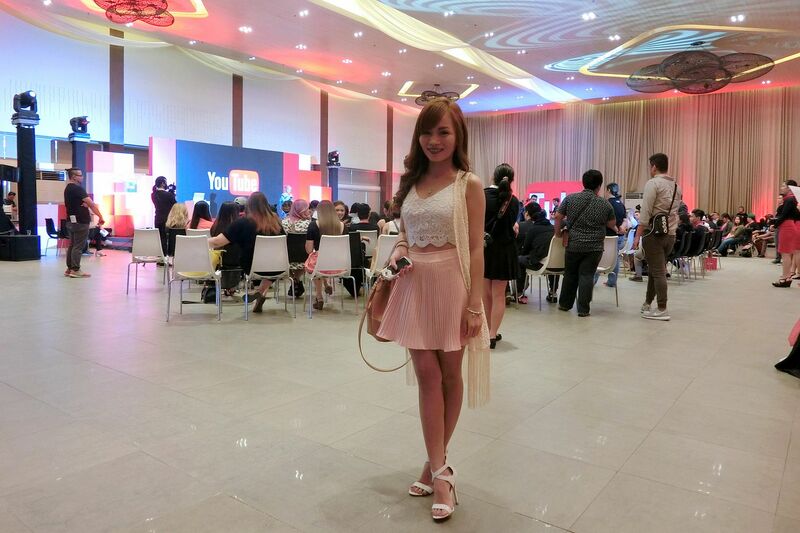 This is one of my #AffordableOOTD! I recently started this series where I post a photo and the prices of the items of my outfit. Here is my Affordable OOTD Number 1. 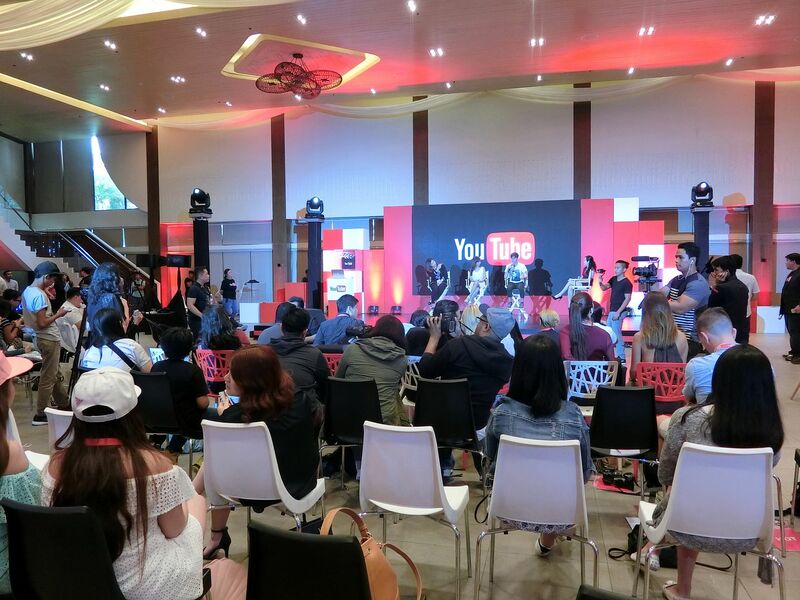 I hope you enjoyed reding my YouTube Fan Fest 2016 blog! Our YouTube channel will only get better and bigger so please stay tuned and don't loosen your grip! I will also be coming out with exciting videos + an exciting surprise soon! 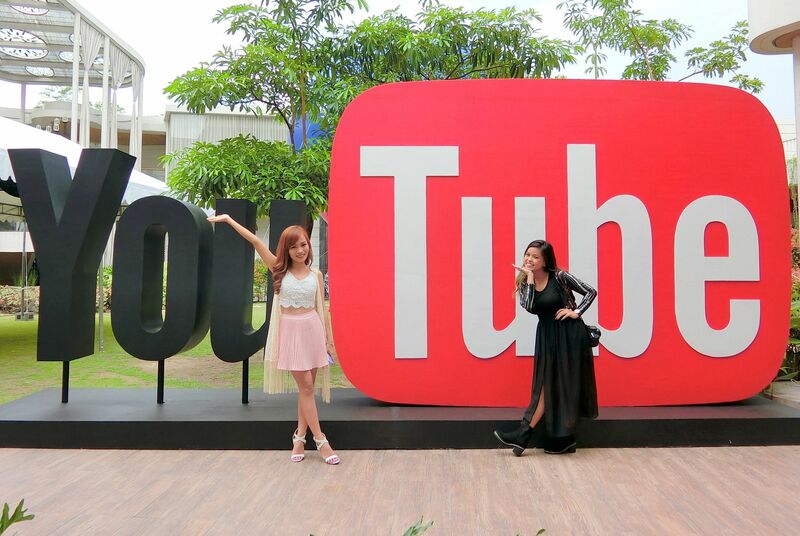 Don't forget to subscribe to our YouTube Channel @RealAsianBeauty HERE.